I am a member of the Collective Bias® Social Fabric® Community. 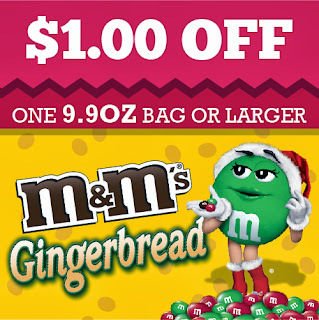 This Gingerbread M&M shop has been compensated as part of a social shopper insights study for Collective Bias and its client. All opinions expressed are my own. 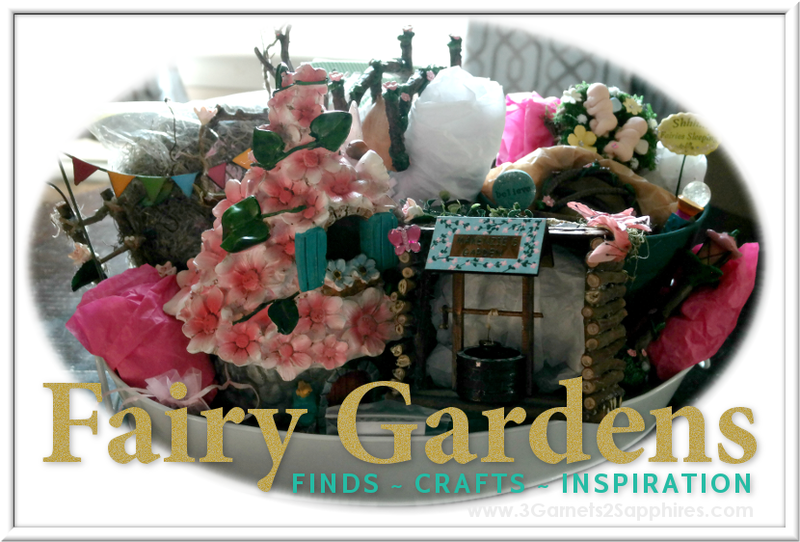 If you've always thought about making your own party favors, gift toppers, or tree ornaments to gift for the Holidays, but were worried that it would be too time-consuming, too costly, or too difficult, then I have an easy and fun craft for you. 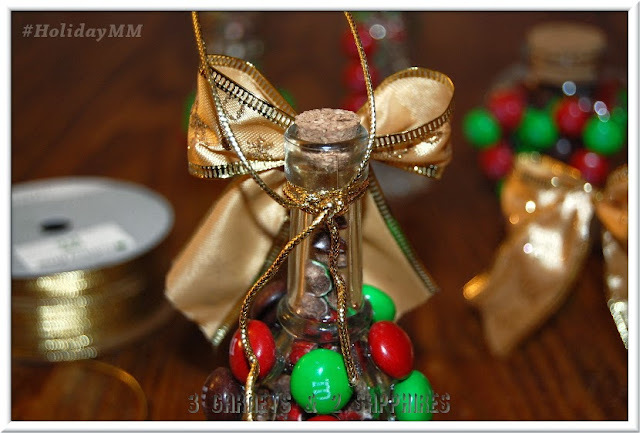 Using Gingerbread M&Ms (exclusively sold at Walmart), some inexpensive golden cord and wired bows I found after raiding the Holiday gift wrap section at Walmart, and a few little one-dollar glass bottles I had picked up in a craft store, I made these festive and sweet favors. Step 1. 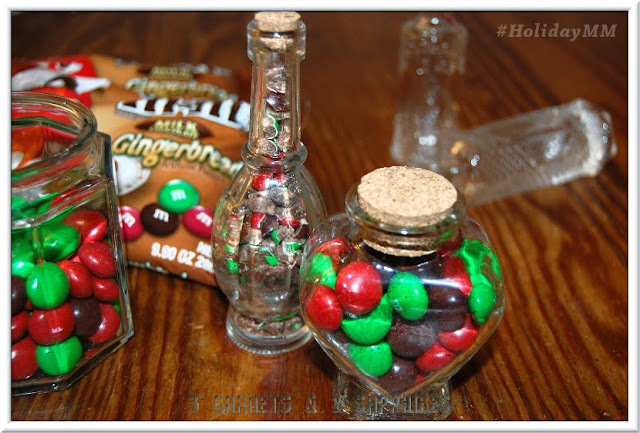 Fill your bottles with crushed or whole Gingerbread M&Ms. 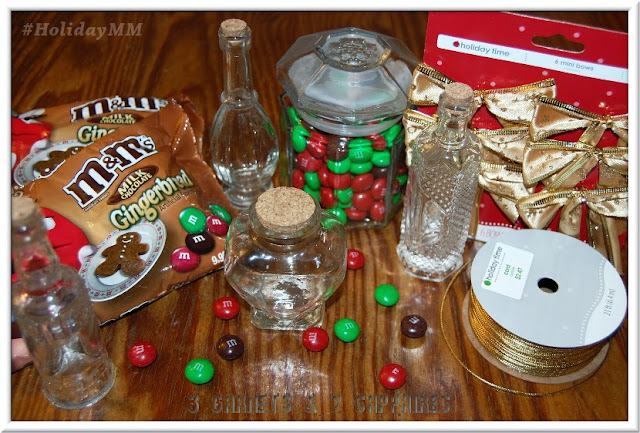 Be sure to tap the bottles lightly on a hard surface so that the candy can settle. 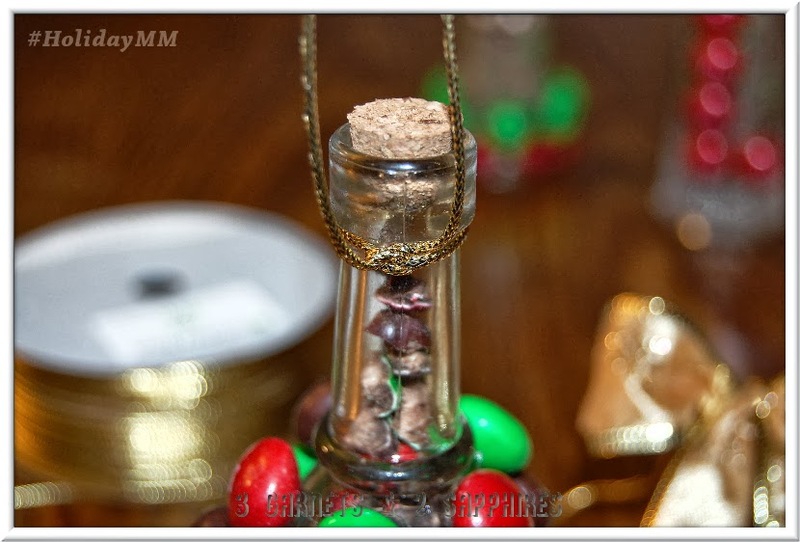 Then make sure to fill the bottles to the top, leaving enough room for the cork. Step 3. Apply a small amount of hot glue to the backside of an M&M and place the candy immediately in the desired position on the bottle. 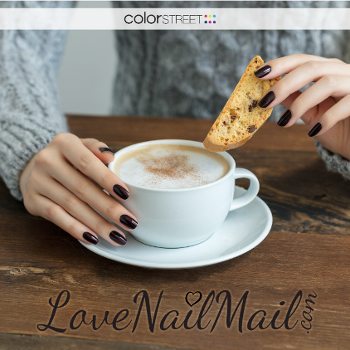 (The glue cools almost instantly, so be sure the placement is accurate.) 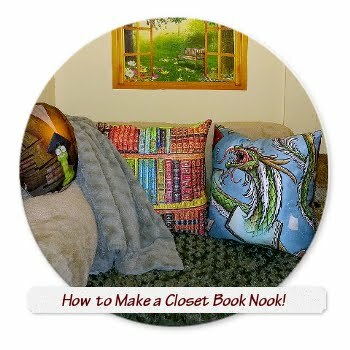 Some ideas for designs would be initials, wreaths, hearts, candy canes, and patterns. Step 5. Knot the ends of the cord together to create a hanger for the bottle. Trim off any excess cord at the ends. Step 6. Shape a wired mini bow, as desired. Then tie the bow onto the bottle by wrapping the attached wire around the bottle and twisting it 5 or 6 times until the bow is tightly secured. Then trim off any excess wire with scissors. The results are these Gingerbread M&M favors that can also be used as gift toppers and tree ornaments. 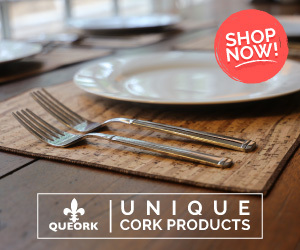 How wonderful would these look displayed on a mini Christmas tree for guests to take on their way out the door or sitting at each place setting on the dinner table? 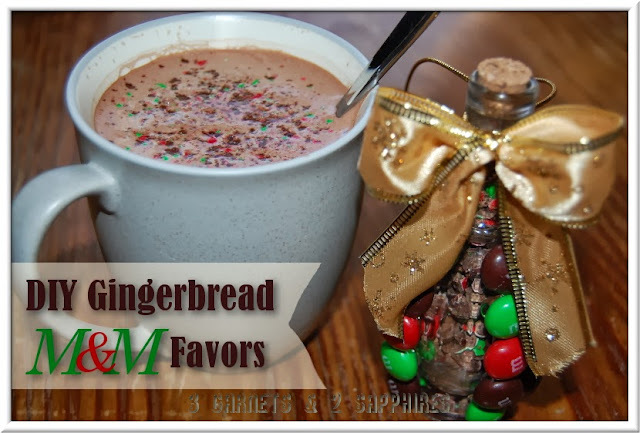 The crushed Gingerbread M&Ms are perfect for flavoring hot beverages, such as coffee, hot cocoa, and even tea. 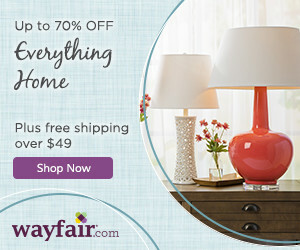 It could also be sprinkled on top of whipped topping, decorating a dessert or ice cream sundae with festive color. 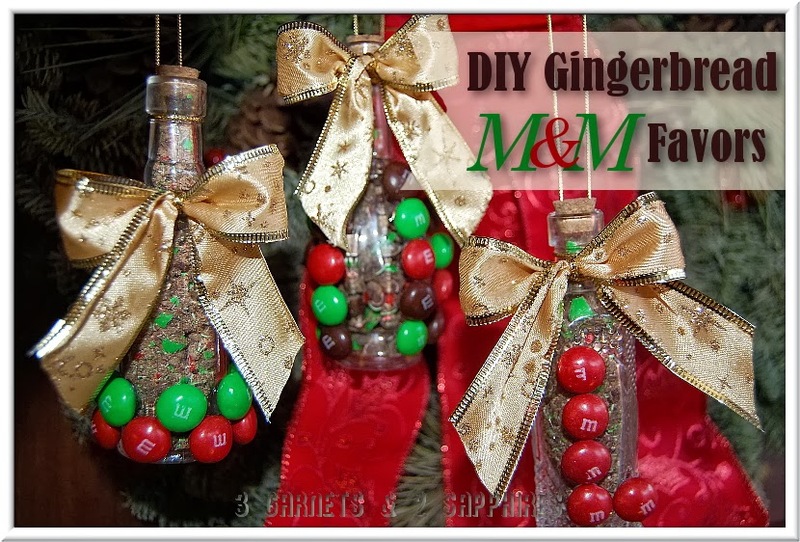 What would you use Gingerbread M&Ms for . . . to bake gingerbread cookies or to decorate a gingerbread house? 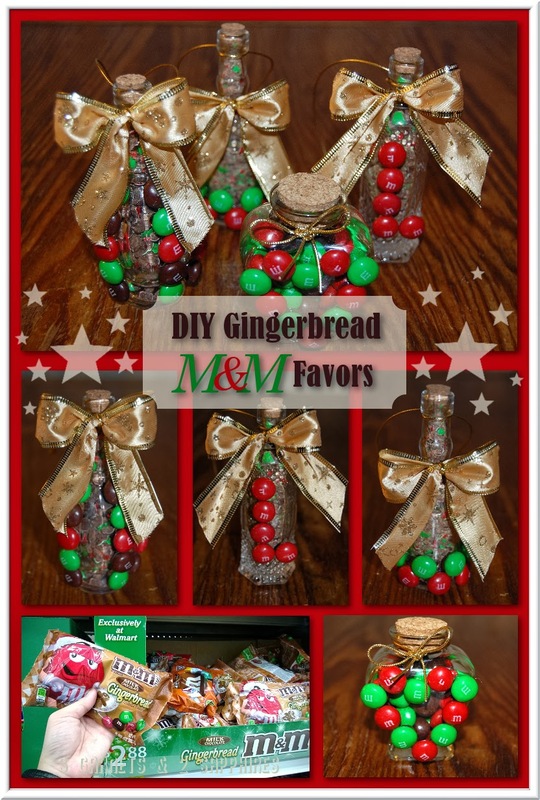 If you would like to try this easy craft or to experiment with creating a gingerbread recipe, click on the banner below to grab a coupon for $1.00 off one bag of Gingerbread M&Ms! 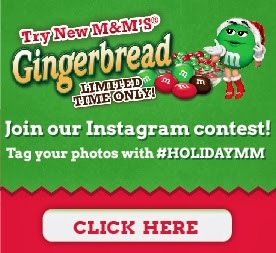 Join in on the Gingerbread M&M Instagram contest . 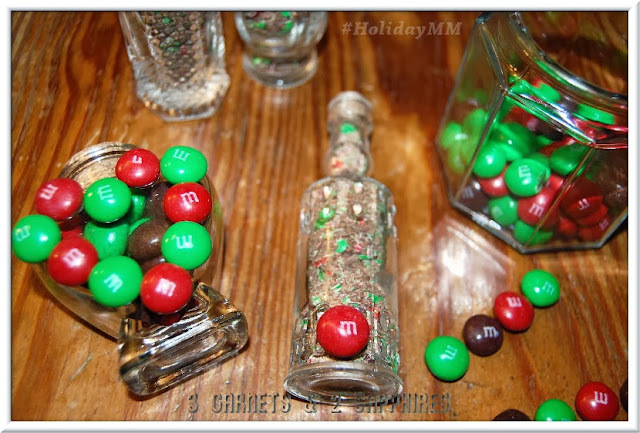 . .
HOW TO PARTICIPATE: Upload an original image to Instagram with inspirational ideas and creations using Gingerbread M&M's to decorate and craft during the holidays, caption that image with the hashtag #HolidayMM, and share on Twitter (an “Entry”).